Playtech is the company behind slots with Superhero heroes. Among these are Blade, Fantastic Four, Daredevil, and Elektra. It has created a powerful superhero slots software that it has managed to secure licences from huge companies like Marvel. In this review, we will take a look at what makes Playtech a premier choice among other superhero providers and whether this company can take on the challenge of staying afloat in an industry that is saturated with a lot of competitors. Every company has an edge and this developer has ensured that it has its own. It is one of the largest online gaming companies in the world. But what are its advantages over the others? Publicly Listed – the game developer is listed in the London Stock Exchange. Before any company can go public and sell shares to investors, it will go through serious scrutiny by the government, investors, banks, and underwriters. The company has to prove that it is profitable or investors will run away. Credibility – it has more than 140 licences and these are global. This means that it has passed the requirements of different organizations that regulate the casino industry. Since Playtech operates its games in real money casinos, it needs to secure licences in each country where its games are available. These licences represent its credibility and integrity in many online entertainment modules. As such, it can operate in more than 20 jurisdictions globally. Technology – it has one of the top softwares in the world. It has a technology that it calls Information Management System or IMS. This software is the foundation behind all of its products. With this, all casino operators that run Playtech software can access its main platform. This is the technology that lets players move from one game to another and maintain only one account or wallet. If a player has to shift from playing slots to a live casino, he does not have to log-in to a different account. If you read about top softwares reviews, you will find that the key differentiator between game developers is the kind of service that it can provide to a casino operator. Anyone can create a game. But what sets it apart from the rest are its features. Playtech One – this is a technology that you may have already come across with while reading software reviews. This is a software that integrates all games into a single, cohesive platform. This is why Playtech can provide the same desktop selection to mobile casinos. The company gives a casino operator the ability to run different game genres like poker, slots, live casino, sports betting, and lottery on a single software. Marketing Services – there is no better way for a casino operator to earn money than having players come and register to its website. Playtech offers an affiliate program where it provides commissions to professional affiliate marketers who can bring new players to its games. And if you are a casino that operates its games, you will benefit from this marketing program, too. Financial Services – the company offers services that the casinos can outsource to them. This includes payouts, withdrawal processes, wagering calculations, and more. Playtech also allows casino operators to create offers or remove them. This is why you can sometimes see casinos offering no deposit bonuses that are only playable on certain games. If you want to test its games, you can go to websites that offer a review & free play of its games. Here are some of the best games from the company. You can find free slots online from the developer, too. Viking Mania – this is a slot that operates in five reels and three rows. It has 20 pay lines and it gives out free spins. The game was also designed to provide multipliers and a jackpot of 10,000x the line bet. Iron Man 3 – based on the movie that starred Robert Downey Jr., this slot has 25 pay lines and has the auto-spin and Max bet features. It pays a hefty 10,000x line bet jackpot and also increases a player’s winnings through its multipliers. The company has been around since 1996. 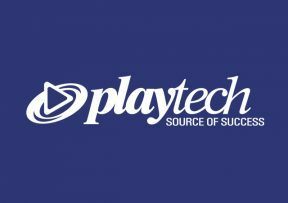 Over the years, its leaders have foreseen where they want the company to be, and this is why Playtech has put in so much effort into creating a platform that integrates all of its games. It knows its business so well that it has managed to create a technology that makes it easy for players to enjoy various games using only one account.